In ancient time, Astypalaia must have been flourishing as evidenced by the frequent references of the island in ancient texts, but also by the kind and style of the artefacts, mainly coins, that were unearthed on the island. 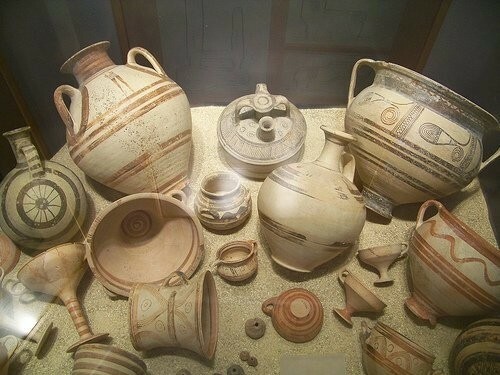 The finds are in display in the archaeological museum (tel. 22430 61500) which is located in the village of Pera Yalos. Astypalaia took its name after the daughter of Phoenix and Perimidis, who was also Europe’s sister. From the coupling of Astypalaia with Poseidon, the Argonaut Agaeos and the King of Kos, Eurypylus, were born. The first inhabitants of Astypalaia were the Kares who initially named the island Pyrra (Fire) because of the red colour of its rocks. The island kept the same name for centuries. There are only a few references of the island as Astoupaliá, Astynéa and Stypalía. However, the locals use to call the island Astropaliá up to the recent days. The island was conquered by the Cretans during the Minoan Era. It was later on Hellenized by Greek settlers who came from Megara. During the Hellenistic Era the island was an important marine station especially for the Ptolemies, while during the Roman Era the island significantly flourished due to the abundance of natural ports which served as the base for military operations against the pirates. During the Byzantine Ages the increase of pirate activity led to the alteration of the town-planning and the architectural structure and location of the houses on the islands, resulting to a gradual decline of the coastal settlements and the transfer of the population inland. At the same time the focus of the rulers was turned to the construction of more castles for the achievement of further protection. This was when the Castle of Ayios Ioannis was constructed at the south-western coast of Astypalaia, the remains of which can still exist in situ in the present days. However, the most intense period for Astypalaia was when the island was under Venetian rule. After the abolition of the Byzantine Empire by the Franks in 1204 and the establishment of the Ducat of Naxos, its Venetian founder, Markos Sanoudas, conceded Astypalaia to the nobleman John Querini, who was also of Venetian descent. The latter was the founder and first owner of a lodging which constituted the core of the present settlement. The Venetians kept the island under their possession from 1207 to 1269, the year when the Byzantines overthrown the Venetians and took Astypalaia under their control. If you go to Astypalaia you should definitely visit the Venetian castle of Querini. There, you shouldn’t only keep to taking pictures. Set your imagination free and let your mind travel to past Eras. In 1310, John Querini II, governor of Tinos and Mykonos and descendant of John Querini I, re-conquered Astypalaia with the help of Marco Grimani. The Querini family kept the island under their control for about 300 years. Each one of the rulers renovated the castle and added important parts to it. 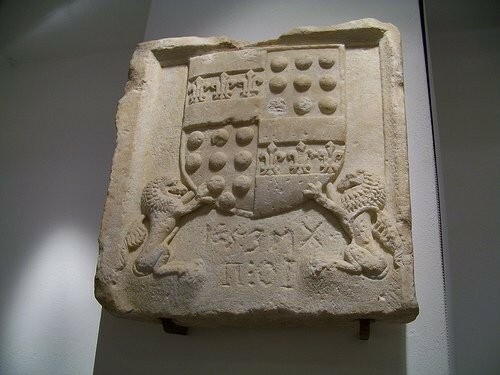 Stone slabs with the blazon of the Venetian noblemen who built the castle and dwelled in it were found enwalled in various spots in the castle representing the glorious past of the family. One of these slabs still exists enwalled in the present days. It was installed by John Querini IV, Count of Astynea, and his wife Isabetta in March 1413. This day was dedicated to their patron saint, St. Querini. The Venetians lost Astypalaia in 1537, when the notorious pirate Chairentin Barbarossa arrived conquering the islands the one after the other. Under Ottoman rule the island ensured certain privileges and kept being self-governed. It took part in the Greek Revolution in 1821, but – like the rest of the islands of the Dodecanese – it remained under Turkish control. The Italian occupation followed the Ottoman yoke. The island was finally liberated and reunited with Greece on the 7th of March, 1948.